Office, Home Planning & Building Ilford IG | Quality Property Care Ltd. So, call the customer care or book visit online by an expert builder, or to receive an approximate preliminary quote (for certain building jobs only). Our company can work on multi-floor department stores, hotels, office buildings, restaurants and cafes, pub, bars, community centers, school classrooms and school halls, sports centers and gyms, dance and aerobics studios as well as leisure centers. In this service we include the painting of ceilings and walls, performed by a team of operatives rather than a single person. We apply any required protective surfaces, including protective tapes and overshoes to minimize or even avoid the cleanup afterwards. Quality Property Care Ltd. specialize in all aspects of property improvement: from redecoration to complete refurbishment. We would be also happy to give you our own ideas on design and functionality of the planned property or premise. We cover the entire UK territory: Far Away Regions In Great Britain London South East England. As a company with 15 years of experience on the sector, strict mission to be always helpful and supportive to every single personal customer`s requirements, our refurbishment company has personalized a complex domestic and residential builders service in Ilford IG. It aims to provide you general help and to achieve all of the design, interior, exterior and repair goals you have in details. To achieve results that would be great to all clients, we take extra care to measure out the amount of rolls of wallpaper it would take. 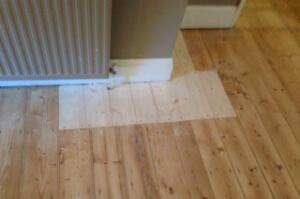 Carefully plaster any uneven spots & cut around corners, around skirting board, around doors, near window sills, light switches and power outlets. We generally do the wallpapering around internal and external corners, wallpapering around door frames, wallpapering behind radiators, wallpapering around window frames as well as staircase walls. Office refurbishment is a service suitable for corporate clients,office or property managers who are looking to upgrade or improve the floor plan of an office, freshen up the space & generally improve a certain property. For end of clients lease cases we can do replacement of floor coverings, repair and replacement of suspended ceilings, replacement of wall finishes, changes in the layout of the floor plan, which may require the removal and construction of new partition walls. 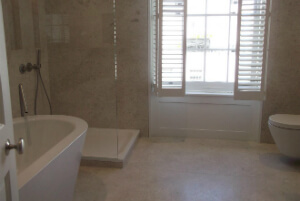 We can also do the reconfiguring of lighting and other electrics around the home as well as the upgrading or refurbishment of bathrooms or washrooms and toilet cubicles. For existing premises we repair and replace suspended ceilings, upgrade conference and meeting facilities, re-do the flooring and decoration of walls and different finishes, as well as put in new office furniture. The company wishes to increase the number of happy clients of the builders services, which is why it has a principle that no builders job is too big or too small. The price for the job is calculated after a viewing on the spot, and is broken down for the costs of materials and for every stage of the task, the labour costs and the rubbish removal costs, if such a service is needed. The Company Quality Property Care Ltd. is willing to try to work with the budget of the customer, so if you have a set budget for your planned renovation or refurbishment, you should definitely share it with the experts who will calculate the offer. To book a viewing by an expert from the company, you can call our customer care service at 020 3746 4287 or write an online request. It is easy and quick, and will ensure that your building plans and ideas are reviewed by an expert or team of experts, and that you will be given the best offer in Ilford IG for the task. Book your viewing to receive an offer for the high-quality, guaranteed and insured builders services offered by the company now!